It’s been a little over a month since I last posted, right as I was on my way out the door for a vacation on the island of Curacao. Unfortunately, the day I returned I had a pretty serious personal medical emergency which has kept me side-lined for the last three weeks. I’m home, recuperating and ready to jump back into the blogosphere. I’ve got a number of posts coming in the next week including some overdue pre-event coverage for Tales of the Cocktail 2010. I’ve also been getting busy in the kitchen again and have been making my own candied cherries and some new noyaux. 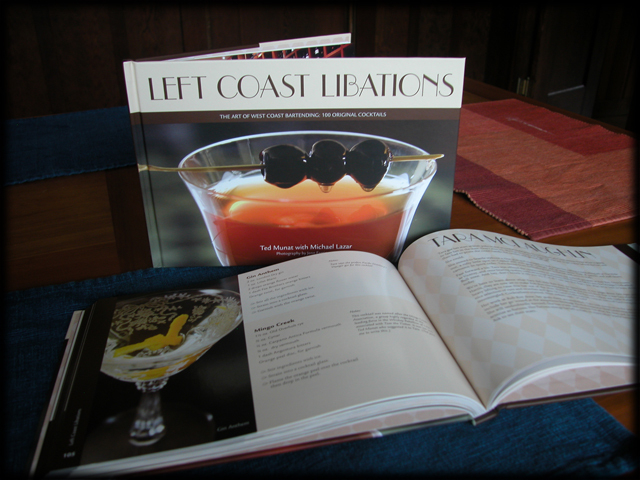 One really exciting bit of news to share right away: we’ve now received our advance copies of Left Coast Libations. Yes, we’ve held actual books in our hot hands. All I can say is that they are more beautiful that any of us could have imagined. Really stunning. (Kudos to our book designer, photographer and the press.) Of course most all of those books have now been sent out to editors at various national long lead magazines. We’re of course hoping for a big media blitz in late August/early September when the book officially goes on sale everywhere. The bulk of the books are en route to us by boat from China. 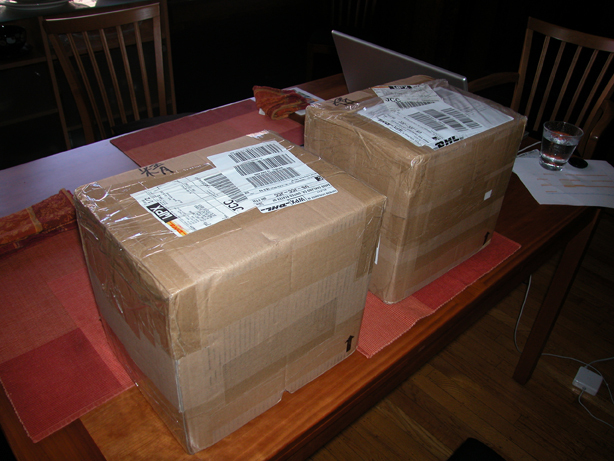 Our freighter is set to dock in Oakland on July 1st and the books should be out of customs on July 5th. I’m busy clearing space out in my (fortunately) sizable garage in anticipation. 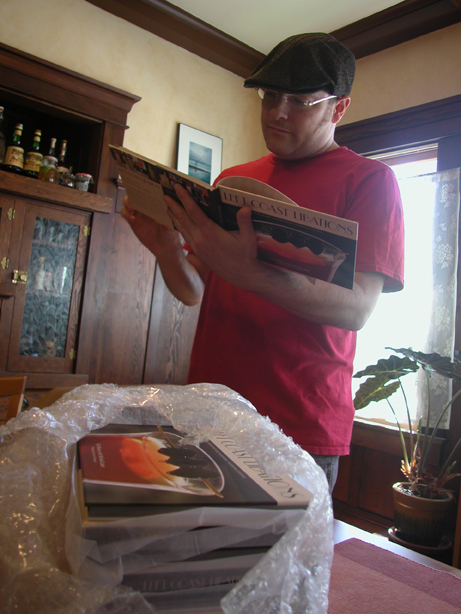 Once we’ve got these books we’ll start sending out review copies to key cocktail, spirits, and food bloggers. Ted, Scott, and I are working with the bookstore in the Monteleone at Tales of the Cocktail and will have a limited number of copies available for sale. We’ll be hosting a book signing at the Monteleone on Friday, July 23rd at 11:30 AM. Simultaneously we’ll be making and offering one of the cocktails from the book in the Domaine de Canton hospitality suite upstairs. We hope to be able to offer additional selections at other hospitality suites throughout the week. If you are interested in buying a copy of the book while at Tales, I’d recommend you don’t wait until the last day. We expect it to sell out. OK. that’s all the news for now. Stay tuned for more! This entry was posted on June 24, 2010 at 11:29 am and is filed under Left Coast Libations with tags Left Coast Libations. You can follow any responses to this entry through the RSS 2.0 feed. You can leave a response, or trackback from your own site.